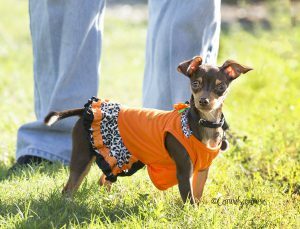 We are happy to introduce our newest little diva, “Miss Olive,” who now waves Sophia, the Doggy Diva’s magic wand over the microphone each week as the host of “The Doggy Diva Show,” and above the computer every other month as the author of “Diva Delights,” her editorial column in Suncoast Pet magazine. 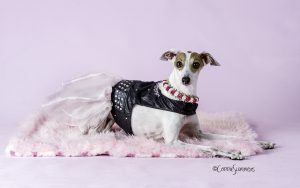 Miss Olive is a tiny rescued Italian Greyhound that was adopted in 2015 from Italian Greyhound Rescue Florida. Like Sophia, Miss Olive was a victim of neglect and health issues. Despite the fact that she lost one of her legs to cancer and her teeth due to a lack of medical care, Miss Olive is an inspiration to all. The neglect and illness that she has experienced has never affected her loving, gentle spirit; she always is ready for a snuggle and a special Miss Olive kiss. Channeling her inner Sophia, Miss Olive also has a “diva-licious” fashion sense. She adores her pink jammies, pretty dresses and diva collars and just loves lots and lots of yummy treats! A true tiny “fashionista”! Miss Olive and her diva sisters, Francesca and Coco, will continue serving as the “voice of the voiceless,” advocating for all those who are awaiting their forever homes. They also will honor Sophia’s message of “paying it forward” by inspiring her listeners, readers, friends and fans to donate both time and money to area rescues and shelters.